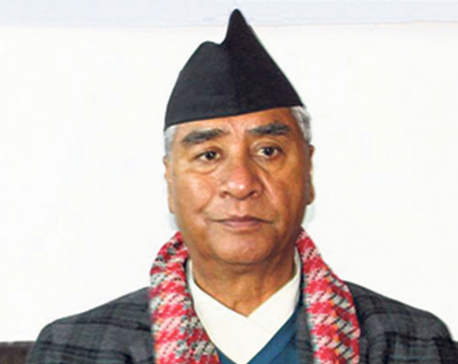 The main opposition Nepali Congress is a divided house once again. There is war of words between party president Sher Bahadur Deuba and Koirala faction, most notably Dr Shekhar Koirala and Dr Shashank Koirala. Party president says one thing about government’s decision, his spokesperson soon opposes it and party president then changes his position. District presidents are appealing for timely General Convention, which Deuba seems bent on deferring. Why is Congress in such mess? What is its reading of the government’s performance? 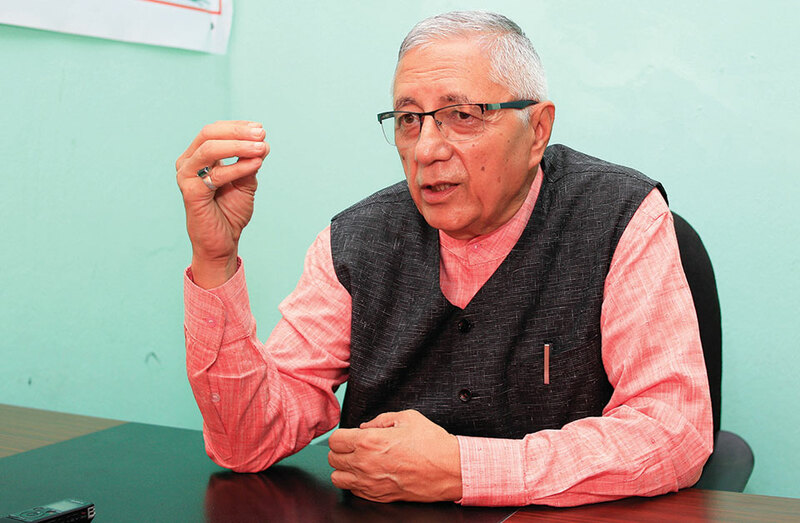 Dr Shekhar Koirala, Central Committee member and also a vocal critic of party leadership, shared views on internal party dynamics, Oli government and other political issues in an interview with Mahabir Paudyal and Kosh Raj Koirala. 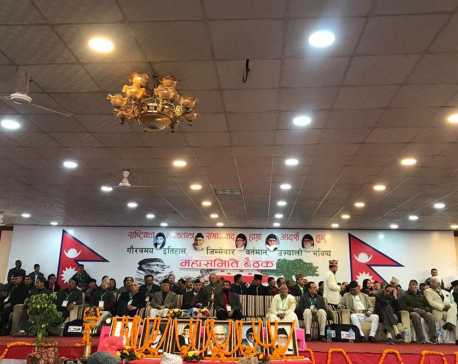 Why is Nepali Congress in a mess as it is seen today? Part of the reason why this impression has been created is because of our response to government’s decisions on CK Raut and Netra Bikram Chand. When Prime Minister Oli brought Raut into mainstream and declared the outfit led by Chand a criminal group, our president first welcomed the decision. Then the party spokesperson opposed it and the party president also changed his stand. Only they can explain this contradiction but it gave the message that Congress is a divided house. 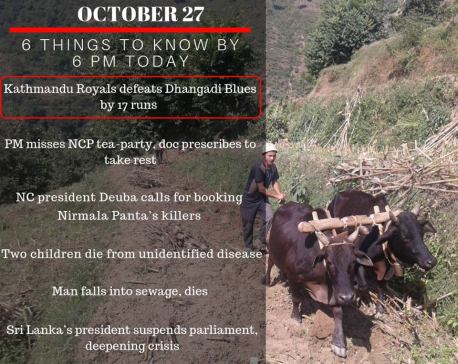 What is curious is both the spokesperson and the party chief were together in Myagdi district on the day he welcomed the government’s decision. I wonder why they did not have a uniform view on such sensitive political issues. But what is official in Nepali Congress is the decision of its Central Committee. This matter was discussed in the Central Committee. And we have made our position clear. CK Raut is a secessionist. The agreement between the government and CK Raut takes place a day after the court releases him. On such a sensitive issue (sensitive because Raut was carrying agenda of secession) the government usually consults with the opposition party. But we were kept in the dark. Forget us, even the members of Nepal Communist Party came to know about it much later. We came to know about the deal when the media broke the news. Second, look at the words used in the agreement with Raut. The government may interpret it to mean what it pleases but the word Janaabhimat actually means referendum. Should not the government have been careful enough not to use vague and ambiguous words in the deal? Why did it have to sign the deal in such haste? Why do you suspect CK Raut? He has renounced secessionism, formed Janamat Party and is going to contest the elections. I wish he did. But there still is a room to doubt him. For one, he has not renounced agenda of secession. At least I have not heard it from his mouth. There are reports that the meeting of Janamat Party started with party’s own song, instead of national anthem, unlike what was reported earlier. There are reports of people meeting him by using UN vehicles during the time. There is a lot to read in this. How committed Raut is toward integrity and sovereignty of Nepal will be seen in the days to come but we see a room to doubt his intention. Maybe he is fooling us all. Who knows? That said I am not opposed to bringing Raut to mainstream politics. On this the government is right but it failed to choose the right words in the deal, which is objectionable. There is a room to doubt the whole affair and it is perfectly all right in politics to doubt the intention of opposition or rival party. So let me sum up my arguments on CK Raut. The step to bring him in the mainstream was right but it should not have left loopholes in the deal. And because there have been many questions and suspicions on the deal with Raut, the government needs to dispel those doubts. There must have been informal meetings between Raut and the government representatives. They must have talked informally before reaching the formal understanding. We want to know what it was. We want to know whether Raut has completely transformed himself or he is fooling us. Why does Congress object to government action against Netra Bikram Chand’s group? Apparently, the government had called for talks multiple times but Chand’s cadres went about bombing infrastructure and killing civilians. Something had to be done about it. I find it really ridiculous when Pushpa Kamala Dahal and Ram Bahadur Thapa talk about action against Chand. Dahal and Thapa were together with Chand in the past. Now Dahal is telling us Chand is bent on ‘finishing him off.’ Look who is talking. Likes of Dahal and Thapa know what Chand actually wants and how he can be brought to negotiation table. Let’s recall those days of the mid-1990s, when the Maoists threatened to wage war and the government of the day ignored them. The country suffered violence for a decade and we are still suffering the consequences. We must bring Chand to the negotiating table, heed his legitimate concerns, if any, and bring him into the mainstream political course. We have learned the worst lesson from our own experience. Because the state thought Maoist rebellion could be quelled with guns, the country suffered violence for more than a decade. If the government of the day had held talks with Baburam Bhattarai and Pushpa Kamal Dahal before they launched revolt, the country would not have been afflicted with deaths and destruction of large scale. That said, I am not justifying violence unleashed by Chand’s outfit. I am against bombing of infrastructure, killing civilians and extortion drive. My bottom line is dialogues should be priority over police or military action. Learning lesson from history, we should be talking to them all the time. If the government is also talking to Chand faction through different channels, that’s welcome but I don’t see that happening. The government is presenting itself as if it has closed all doors of talks with Chand. That worries us. Your party opposes appointment of envoys and officials in constitutional bodies but stays mum if spoils are shared with your party. Why this bad politics? You need to look into appointment in constitutional bodies and ambassador appointments differently. Sometimes colleagues from my party argue the government should appoint ambassadors from our camp too. I find this argument flawed. The government is free to appoint ambassadors whoever it thinks are right as long as they are capable and competent. If we were in the government we would do the same. But appointment in constitutional bodies has its bearing on national politics. The government is appointing officials in these bodies arbitrarily because we, as opposition party, seem least bothered about it. When have we put our concern? The chief of opposition party is the member in Constitutional Council. Yes, we are in the minority in the Council but we can at least raise our voice. Strangely, our party chief, who is the member of the Council, does not even care to make his presence in the Council meeting. Forget their political affiliations, why do the appointees in the constitutional bodies have to be from among the former secretaries? How did they contribute to the nation in the former capacity? Constitutional bodies should not be made a platform to appoint former bureaucrats. We are also to be blamed for this though. How so? What should Nepali Congress have done? We should have ensured our presence in Constitutional Council and put our concerns. The irony today is that our president does not even go to the Council meeting and members of parliamentary hearings committee from our side boycott the hearing meeting. Why would not the government appoint officials arbitrarily when the main opposition behaves this way? The opposition should check and balance the appointment process, which it is not doing. You sound more critical about your own party than the government. I say this because the current leadership has comfortable majority in the Central Committee yet it is not addressing pressing concerns of the party. Our Mahasamiti Meeting dragged on longer than planned. And at the end they agreed to amend the party statute, but they have not done so yet. Our statute does not even mention parliament reinstatement of April, 2006. Is not that an insult to the contribution the party made in getting power back to the people from the king? Is not that an insult to the whole nation? They are trying to erase the glorious history of the party. Imagine what would happen if the parliament had not been reinstated in 2006. Party leadership points to Central Committee and says the central committee members do not agree to follow the decisions of Mahasamiti meeting and this is why statute could not be amended, while Central Committee has majority from leadership faction. Is not this ridiculous? Meanwhile, district presidents are demanding General Convention on time. The party president is trying to defer it by citing lame excuses. It is vital for the party leadership to have a sound political culture. The founder of our party BP Koirala cared a lot about political culture. Now this culture is eroding. It is equally important for the chief of the party to have some moral courage and integrity. Current leadership sorely lacks it. This is why it should be changed. The party is in a mess at the moment. We have not even been able to restructure the party along federal line though four years have already passed since the country adopted federal set up. Citizenship is the subject of heated debate once again. What is your stand on citizenship debate? We have debated citizenship provision for long. And I have been closely involved in the process. Unequal provision for foreign women marrying Nepalis and Nepali women marrying foreigners is the major issue of contention at the moment. I talk a lot about this with my daughter. ‘You advocate for equality in every field. Why can’t you make citizenship provision equal to women?’ She asked me the other day. Then I followed this debate closely and have reached the conclusion that there should be equal provisions for men and women on citizenship. I have found that only one percent of total population accounts for naturalized citizens, which comes to be around 3, 00,000 at most. So why this hue and cry when it comes to basic citizenship rights? If we are to impose threshold of, say, five or seven years for foreigners married to Nepalis before they acquire Nepali citizenship, let’s impose it for both sexes. If we are not to put threshold, let’s remove it for both sexes. The point is there should not be double standards when it comes to citizenship. Similar and equal provisions should guide the process of acquiring and transferring citizenship for both genders. If we are to reduce the threshold period from five to three, let’s do that even. But we should not stand against equality. I had a different thought about citizenship in the past. Now I have realized that unequal provision is a mistake and it should be corrected. When we spoke to you in July last year, you said despite shortcomings on other fronts, the government of K P Sharma Oli is rightly handling policy on China and India. What is your reading of Nepal’s foreign policy conduct at the moment? Nepali Congress has had smooth relation with China since the time of B P Koirala. Girija Prasad Koirala continued with that policy and we continue with it to this day. During my meeting with Chinese officials, I tell them that Nepali Congress and Chinese Communist Party should have a party-to-party relation. This is important for us. With India, our relation is at such a personal level that we can call the Indian leaders on the phone and communicate easily. Sometimes the Chinese ask ‘how come you have such a relation with India.’ I tell them that most leaders of our party studied in India and started their politics from there. BP Koirala was even part of India’s independence movement. I think Chinese are aware of that. Chinese economy and clout is growing unimaginably. This is why most countries in the world want to maintain the best of the relation with China. Nepal is no exception. But again, India has not joined Belt and Road Initiative (BRI) yet and it has made China Pakistan Economic Corridor (CPEC) a big issue. America is in trade war with China. On the other hand, America is also indirectly advising Nepal not to fall into BRI debt trap. I worry that Nepal might fall into trap between China’s BRI and America’s Indo-Pacific strategy. Nepal should carefully guard against falling into these traps. The government of Nepal and political parties here must be able to maintain fine balance. The government and the ruling party made a mistake on Venezuela issue. The government seems to be doing well in relation with India but somehow the Chinese do not seem very enthusiastic about Nepal at the moment. May be they have some concerns with BRI issues. What is your view on BRI? I am not against BRI at all. But whether we want to build roads or railways under BRI projects should be our own choice. We should go for the roads. We need to enhance road network with China through BRI project. This is because unless India and China resolve all their differences and come to terms with each other, railway in Nepal could potentially push us into a debt trap. If Chinese are to build the roads for us, we should adopt Build, Own, Operate and Transfer (BOOT) model.